If you are facing an unintended pregnancy, and you have questions about whether you are ready to parent your child, creating an adoption plan is another option for you to consider. ​Making an adoption plan is free for birth parents. An expectant mother can pick the family to parent her child. Expectant mothers can choose how open they want the relationship to be with their child and the adoptive family. Expectant parents can choose to work with a licensed adoption agency. An expectant father has legal rights that must be relinquished or terminated before an adoption can occur. 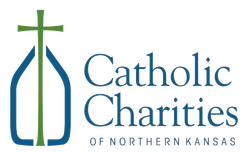 Catholic Charities generally provides services before, during and after the adoption, such as counseling and even assistance on planning for the future. Most state laws require the final decision to place a child for adoption be made after the baby is born. Birth parents can stay a part of their child's life through pictures, letters, phone calls and even visits, if desired, and as agreed upon with the adoptive family. Choosing adoption is not giving up; it is making a plan. Not every mother can be a mom, and not every mom gets to be a mother. It doesn't seem fair, but life can be like that. And we all just do what we can with the hand we've been dealt. But maybe every once in awhile a mom and a mother will find each other and join hands and be for the other what they can't be for themselves 'cause even if she's not ready to be a mom, a mother can be strong, and brave. She can turn 9 months into a lifetime. And turn a couple into a family. Maybe it's easier said than done. But then, being a superhero always is." Today, expectant parents can choose the family to raise their child. Expectant parents also get to decide how open or closed they want the relationship to be with the adoptive family. Adoption agencies help place them with a family that is willing to agree to the expectant parents' terms and act as a liaison between the adoptive family and expectant family. Open and semi-open adoptions are becoming more and more common. In fact, 90% of United States infant adoptions are open or semi-open. A Closed adoption means there's no contact or identifying information shared between birth parents and adoptive parents. The difference in terms varies between open and semi-open, but usually there's more direct contact and communication with open adoptions. With semi-open adoptions, there's a liaison from the adoption agency that helps facilitate communications and openness agreements. Our Catholic Charities agencies place children through open adoption, though, the amount of contact between the birth parents and adoptive families may differ from one adoption to the next. When people ask me about adoption, one of the things that I really say a lot is that adoption is a great opportunity for the birth mom and the baby. It's a great alternative to anything else that could happen. It gives a great chance for the birth mom and the baby to have an amazing life even if they're not together at the time being." If you knew that you could tell your child your reasons for choosing adoption for them, do you think that would make your decision easier? If you knew that all of the adoptive parents you had to choose from had first been required to go through an extensive process before being approved to adopt a child, would that help you feel more certain about your child's safety and security? If you were able to receive counseling and emotional support both during and after your pregnancy, would that help you deal with making an adoption plan? If you could talk to someone who was in the process of placing a child for adoption, or who had already placed her child for adoption, would that help answer some of your personal questions? Do you think that your chances of accomplishing your personal goals would be greater if you made an adoption plan at this time in your life? If you knew you would be able to have an ongoing relationship with your child and his or her adoptive parents, would it make you more comfortable with the process? If you could choose the parents to adopt your child, would that make you feel more comfortable with adoption? Do you feel like your baby would have a better life if he/she were raised by a family who could offer him/her more than you can right now? Contact Catholic Charities - Your phone call does not mean you've decided on adoption. But it helps to talk to someone who cares and can also provide you with factual information to better understand the different aspects---legal, social and emotional---of the process. 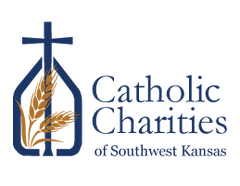 Click here to contact a Catholic Charities agency near you. Choose an Adoption Agency - If you choose an adoption agency, look for a licensed agency that cares about you and your adoption plan. Find an agency that will help you craft a personalized plan and provide lifelong services to you, your child, and the adoptive parents. For your emotional support, the agency should provide services and resources with a warm and personal approach. Develop a Personalized Adoption Plan - This happens with the help of a caseworker from an adoption agency. He/she will help you navigate some of the following decisions: living arrangements, choosing a family, the birth father's role, legal terminology and paperwork, delivery planning and hospital stay, openness with the adoptive family, and post-placement support. Sign Legal Papers to Relinquish Parental Rights - This can arguably be the hardest part of the process because it's when you make your official decision to terminate your rights as the parent(s). Until the final papers are signed, you have parental rights to make decisions regarding your child. Ask your agency about the time frame between birth and signing the papers because it varies by agency. Support and next steps - We strive to provide you the best support possible by offering these additional services to you throughout your adoption journey: counseling and support resources, open contact with the adoptive family, and assistance and encouragement to develop goals, plans and next steps for you.